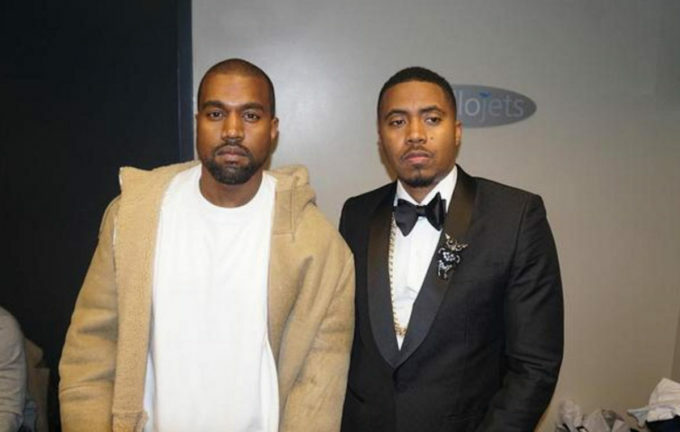 In case you forgot, Nas is releasing a new album on Friday, June 15th which will be produced entirely by Kanye West. Tonight, Kanye took to his favorite social media service, Twitter to unveil the tracklist for the project, the title of which is still unclear. Of course, it features seven songs only. Whether there will be any guest appearances on the album remains to be seen. Check out the tracklist below which features songs such as ‘Bonjour’, ‘Not for Radio’, ‘Cops’ and ‘I Can Explain’. Yesterday, Kanye thanked fans for the love on the new G.O.O.D. Music projects so far and confirmed he’s still working on the Nas album. “Just wanted to say I’m up in the morning working on the Nas album and I’m so humbled by all the love we’re getting on these albums. We’re still the kids we used to be,” he wrote.